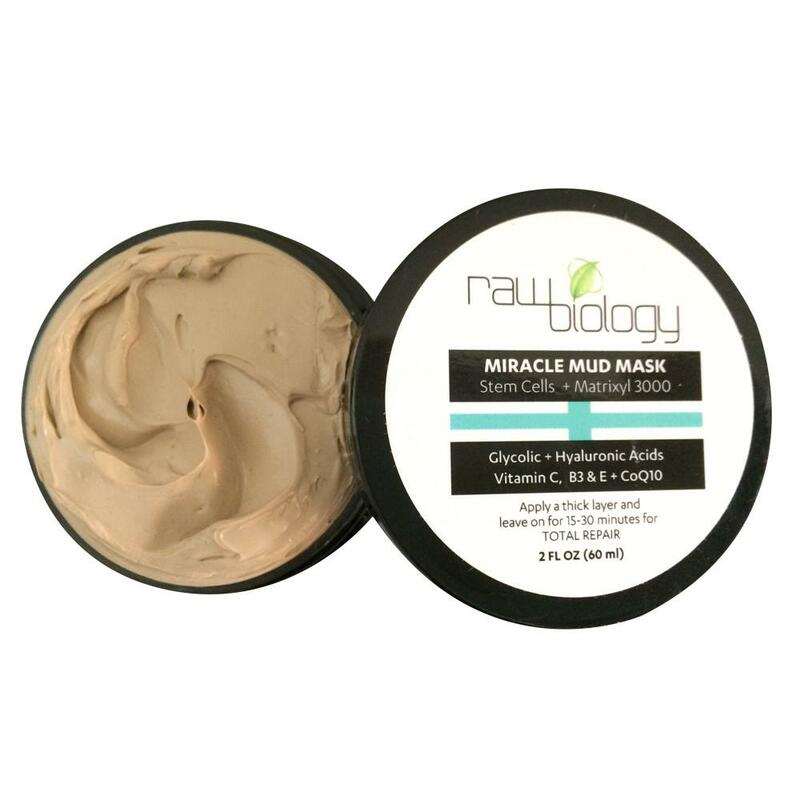 Raw Biology’s Mud Mask is packed with some of today’s most effective anti aging ingredients. 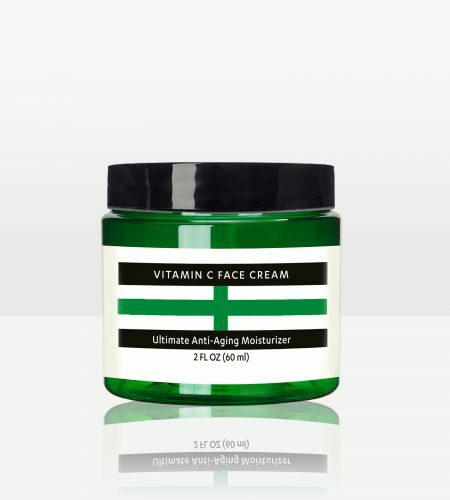 The innovative formulation is unparalleled with medical grade organics that will help transform skin without the side effects of peeling and scabbing. This creamy luxurious potent mud mask treatment is used for refining and smoothing skin tone, texture, and clarity. 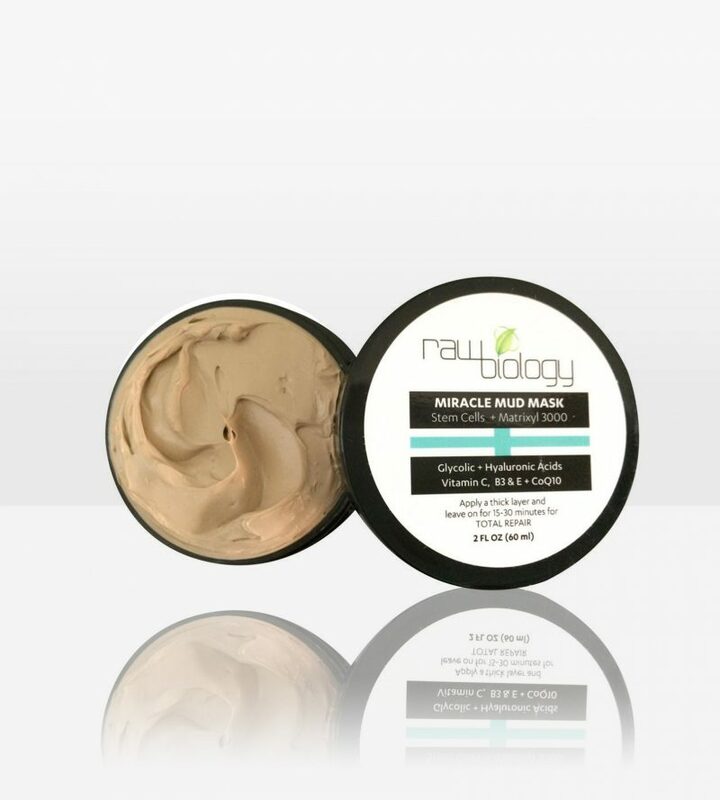 Unlike the burning skin peels of yesterday’s protocols, Raw Biology’s Mud Mask is potent enough for fast results yet gentle enough for weekly use with no down time!! This treatment mask has been known to boost collagen production, clears pores, tightens and tones skin, reduces uneven pigmentation, and increases circulation. 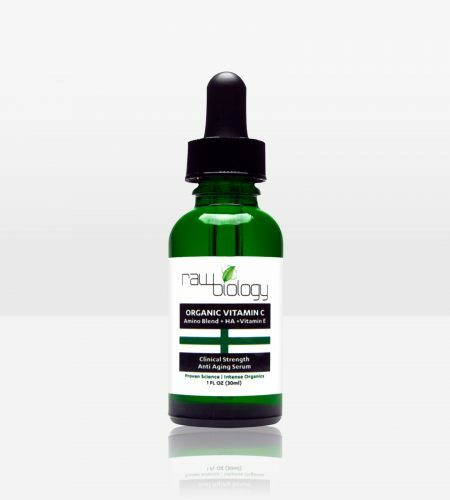 Stem cells and concentrated antioxidants undo free radical damage for a youthful clear and smooth complexion. 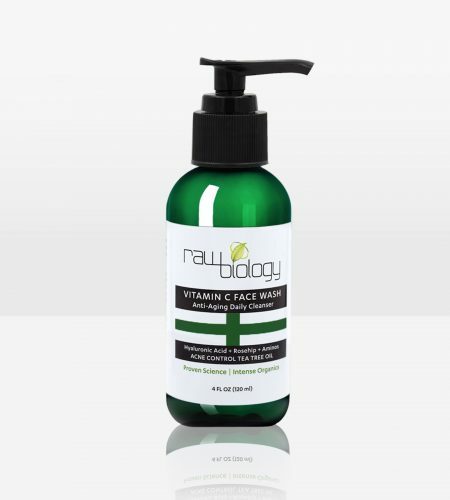 Formulated specifically for regular use and is safe for all skin types. 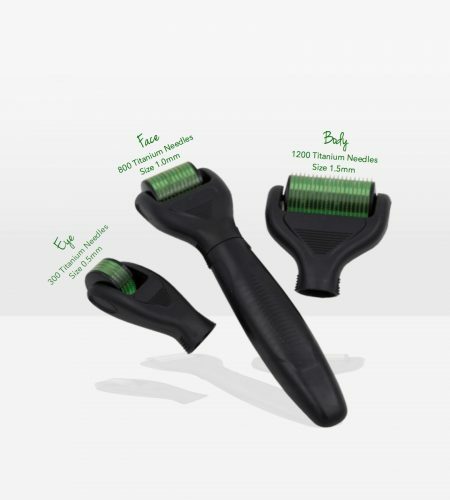 Exfoliates the skin and improves circulation. 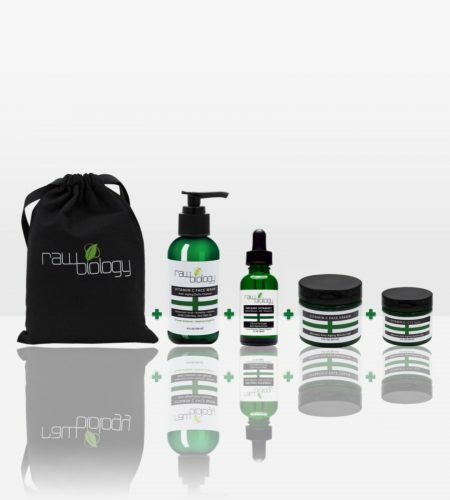 Improves skin texture, producing a youthful appearance. Apply generously to face and neck area creating a thick coating. Mask does have glycolic so it may tingle but that is normal. Leave on for 15-30 minutes; can be applied under steam. Use a damp cloth or warm water to remove. 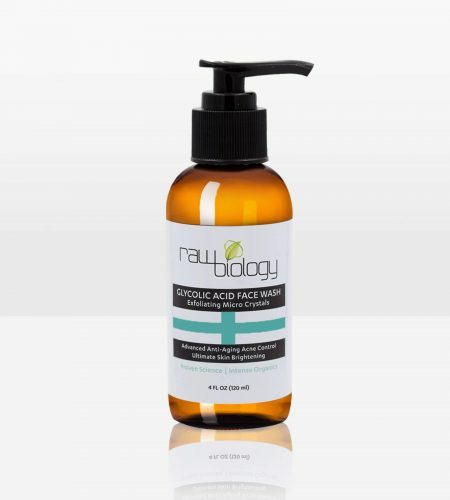 Follow with one of our foaming face washes, toner, serum and moisturizer for full treatment.